Los Angeles Mirror, March 1, 1961. In addition to Albert Einstein and perhaps a small handful of others, Linus Pauling stands today as among the most famous of twentieth century scientists. Strong evidence in favor of this claim resides in the more than 3,000 newspaper clippings related to Pauling that are held in the Ava Helen and Linus Pauling Papers, a corpus of material that is bolstered by an additional 2,700 scrapbook leaves, themselves mostly comprised of newspaper clippings as well. Today, as we celebrate the 116th anniversary of Linus Pauling’s birth on February 28, 1901, we thought it might be interesting to spend some time with all of those newspaper clippings and trace the evolution of Pauling’s birthday as an item of note to the world’s journalists. In so doing, one is also able to delineate differences in the ways that Pauling, as a public figure, was perceived by the media and its readership over time. 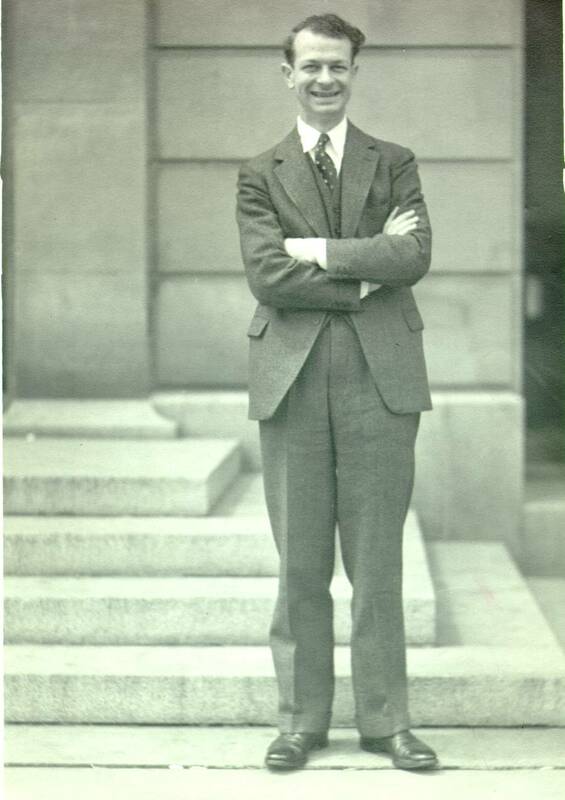 Pauling received national media attention for the first time in 1931, when he won the Langmuir Prize from the American Chemical Society at the age of thirty. Newspaper accounts of that award referred to him as a “Prodigy of American Science,” a headline that was used repeatedly in 1946 following Pauling’s receipt of another ACS award, the J. Willard Gibbs Medal. As Pauling grew older and far more famous, newspapers across the country became increasingly interested in him as a person. When he turned sixty years old on February 28, 1961, the Los Angeles Mirror published the first birthday article that we’ve been able to find in our collection. The write-up, which describes Pauling as “Caltech’s famous Nobel Prize winner in chemistry” focused mostly on his peace work, with which he was heavily involved at the time. In 1976, on the occasion of Pauling’s 75th birthday, the San Francisco Examiner produced an article commemorating the day. Thus began what would become an almost twenty-year trend: birthday articles on the popular scientist. The 1976 article described Pauling as “cordial and charming, never vindictive.” It also commented on Pauling’s work with vitamin C, focusing especially on its potential applications with cancer. He’s always been a bit like a feisty puppy: sinking his teeth into an idea, enthusiastically tossing it around and defying anyone to grab it away. 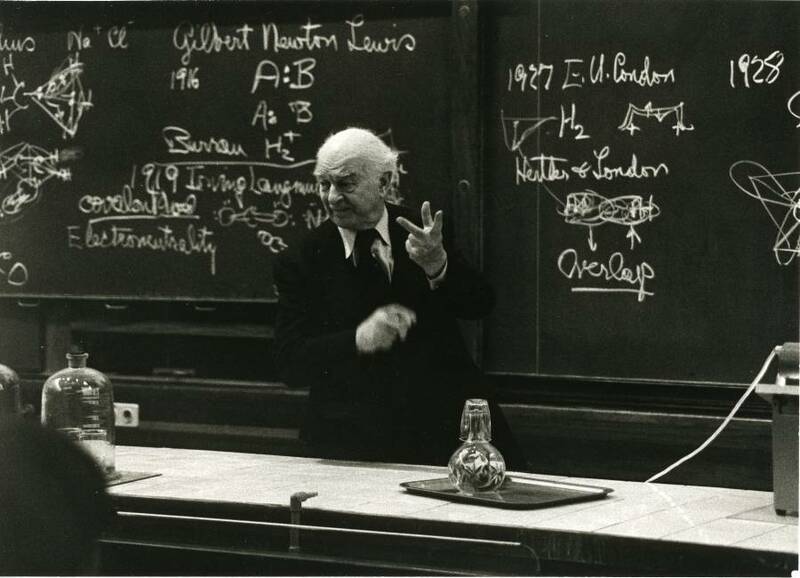 That vigorous and stubborn approach to science – and life – has made Linus Pauling a near-legendary figure. His unrelenting refusal to admit defeat and his persistent crusades have, over the years, stirred up lingering hostilities of passionate proportions in some scientific and political circles – and a kind of folk-hero reverence elsewhere. The following year, when Pauling turned 85, parties and other gatherings filled his calendar for the weeks around his birthday, and newspapers were once again there to document both the proceedings and the popular view of Pauling. 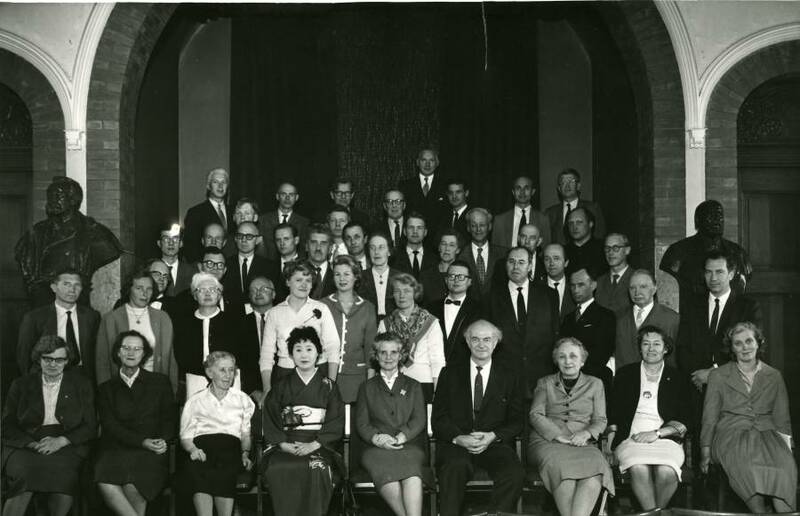 More than ten of them published celebratory articles about the “great dean of science” and wrote of Pauling’s enjoyment at being the center of attention. Multiple reporters likewise noted that, although he had gotten older, Pauling’s humor and self-confidence, not to mention his outspoken habits, had not dissipated. It’s hard to argue with a man who keeps up active research, runs his own institute, tours the nation giving dozens of major addresses each year, and has just written a new book – and will celebrate his 85th birthday on February 28. Though Pauling still conducted scientific research mostly in theoretical chemistry, this component of his life was more frequently mentioned as being a part of his past. Quite clearly, vitamin C was keeping him in the news during the 1980s. It was 1989 and Pauling was celebrating his 88th birthday by the time the media seemed to realize that he was getting older. Heralded by journalists as one of the most important scientists of all time, Pauling’s good humor and outspoken tendencies continued to intrigue, as did his involvement in discussions regarding nuclear issues. He was also continuing his study, and defense, of vitamin C, and the controversy that his opinions had provoked twenty years earlier had not declined. a tendency to serious messiness, a devotion to hard work, promotion of a couple of theories hardly anybody else subscribes to, a habit of writing directly to the U.S. president when he’s angry, and a happy delight in discovering things that nobody knew before, and you have the full package: the grand old man of science. Other papers called him a celebrity, a gadfly, a genius. Scientists and medical professionals interviewed for some of these article disagreed, one of them calling the Linus Pauling Institute of Science and Medicine a “den of cracks.” None of this seemed too important to Pauling who was still continuing work on his three passions: chemistry, peace, and vitamin C. The media also seemed inclined to think that, after thirty years of effort, his support of ascorbic acid was paying off – to journalists anyway, the work appeared to finally be gaining some acceptance. Linus Pauling clearly made an impact not only on matters scientific and peace-related, but also on the average American’s view of what a scientist could be. His persona as a celebrity was both reflected and enhanced by the regular media coverage that attended both his professional activities and his personal milestones. Though now gone for more than twenty-two years, his impact is still strongly felt. Likewise, through newspaper articles and more than 4,000 linear feet of additional materials held in his papers, the Pauling legacy will remain carefully preserved for future generations of scholars, admirers and, yes, journalists. Linus Pauling speaking at Oregon State University with the United Nations Bomb Test petition. 1986. 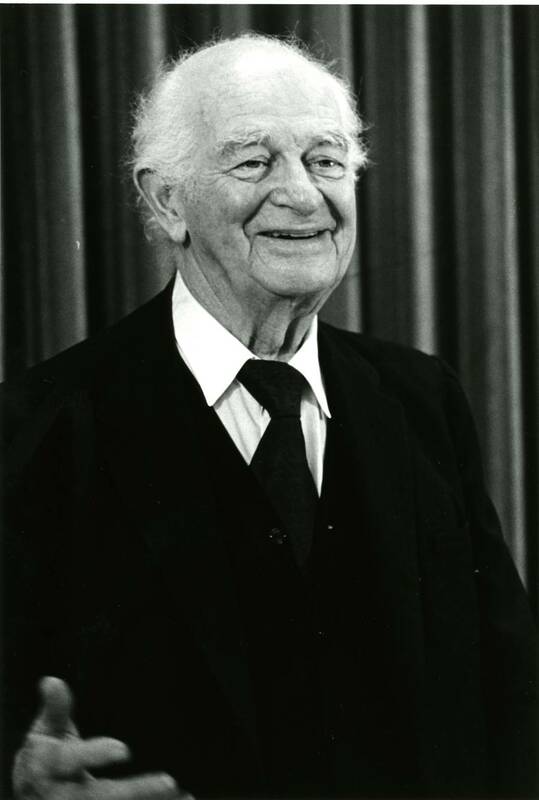 Even after a long, exhausting and prestigious career, Linus Pauling remained active and engaged throughout the latter years of his life. During the year 1985, he spent an impressive amount of time speaking and traveling around the country. Roughly four years had passed since the death of Ava Helen, and in her absence Linus kept himself busy writing papers, sharing new ideas, and defending old ones. Though he continued to make contributions to the peace movement throughout the 1980s, Pauling scaled back his activism for much of 1985 to defend a growing movement which sought to diminish the legitimacy of his nutrition advocacy. Over the previous years, Pauling had become a strong supporter of vitamin supplements for the treatment and prevention of illness and disease. Most notable was his insistence that vitamin C could be used to significantly improve the condition of cancer patients. Ewan Cameron, a surgeon from Scotland who had been in contact with Pauling for several years, undertook a study to treat cancer patients with vitamin C. The outcome from the study, released in 1976, reported longer survival rates and a number of other positive effects in terminal cancer patients who had been administered high doses of vitamin C.
A study addressing Cameron’s results was later released by the Mayo Clinic, overseen by a professor of oncology named Charles Moertel. The study refuted conclusions from Cameron’s research, and insisted that the results from his study were not reproducible. According to Pauling and Cameron, this was largely due to Moertel’s unwillingness to correctly match the design of Cameron’s work. Though much of the scientific community was generally unreceptive to Pauling’s promotion of vitamin mega-dosing, this initial Mayo Clinic study did not fully repudiate Pauling and Cameron’s claims. In 1985 a second study was released by the Mayo Clinic, the intention of which was to more closely replicate the conditions of Cameron’s experiment. The final results of the study countered Cameron’s claims once again, and this time the study was almost unanimously accepted by the scientific establishment. Pauling promptly denounced the second study, and spent a great deal of energy fighting the perceived conclusiveness of its findings. Perhaps the most substantial objection issued by Pauling was that the Mayo studies were using a different framework to measure the success of vitamin C treatment. The Moertel study stopped testing when no visible tumor recession appeared, whereas a primary emphasis for Cameron’s earlier study involved measuring quality of life improvements for the patients undergoing treatment. Though tumor recession was a goal of Cameron’s study, it was not the ultimate determinant of its success. Shortly after the release of the second Mayo study, a dip was experienced in mail-in donations to the Linus Pauling Institute of Science and Medicine. Pauling largely blamed the Mayo Clinic for these decreases, which partially explains the ferocity of his response. Even with these setbacks however, the Institute remained open, and Pauling was able to carry on with life-as-usual for the most part. Though most of Pauling’s work during the year was focused on refuting results from the Mayo Clinic study and promoting his vitamin C agenda, he still managed to publish other material that was somewhat unrelated to the controversy. He finished his final book, How to Live Longer and Feel Better, the last of sixteen books written by Pauling. The book offers suggestions for a healthy lifestyle, touching on physical and mental practices, and appeared on the New York Times’ bestseller list when it was first published in 1986. He also authored several articles addressing chemical bonds, quantum chemistry and crystal structure theory. Several publications involving quasicrystals were perhaps his most notable works for the year in this regard. Upon their classification as such, quasicrystals were a category of crystal that seemed to violate the prevailing crystallographic principles of the time. A number of theories were produced to explain their irregular tendencies, and Pauling formed a hypothesis that received widespread attention among his peers. Besides his turbulent interactions with the scientific community throughout the year, Pauling was also kept busy by a number of personal affairs. His friend of over 60 years, Paul Emmett, died in April, and Pauling attended his funeral in Portland later that month. Though the debate over vitamin C absorbed much of Pauling’s attention during the year, he still managed to travel, write, speak for peace and relax at his Big Sur ranch. If nothing else, Pauling’s impressive age and remarkable vigor provide a convincing testament to his behavior and lifestyle advocacy. Throughout the rest of the 1980s, Pauling’s routine and activity would change very little. Throughout most of 1959, Linus and Ava Helen Pauling were actively engaged in several peace-related activities, including a nuclear test ban treaty being deliberated in Geneva. Certain developments preceding the New Year made it clear, however, that a full nuclear test ban treaty (atmosphere, water and underground) was unlikely to be negotiated. Richard Lippman, a good friend and ally of Pauling, passed away suddenly around the same time. Quite understandably, the two events had a depressive effect on Pauling. When he and Ava Helen visited their Big Sur ranch the following January in 1960, Pauling decided to go for a walk early one Saturday morning. After following a deer trail for some time, Pauling became lost and then stuck on a cliff under a large rock formation. He found himself surrounded by slippery blue shale, and the unstable rocks shifted towards the cliff edge every time he tried to move. Ava Helen contacted the Forrest Service in the evening when her husband failed to come back or return her shouts. Pauling heard searchers at one point in the evening, but his voice wouldn’t carry up to the would-be rescuers above him. That night he slept under a map that he had with him, and tried to keep warm in the freezing fog. He was found the next morning in “high spirits,” but was deeply shaken by the ordeal. He attempted to go back to work the following Monday, but was forced to return home after a short time in his office, fully conscious but unable to speak. He had been terrified by his night on the cliff, and it seems that after years of internalization, the unsettling experience was forcing him to confront many repressed emotions. His physician diagnosed Pauling’s condition as shock, and ordered him to rest for a few days. During the ensuing weeks of recovery, he was more emotionally vulnerable than his family had ever seen him. Meanwhile, after negotiations had stalled in Geneva, the international moratorium on nuclear testing expired at the end of 1959. 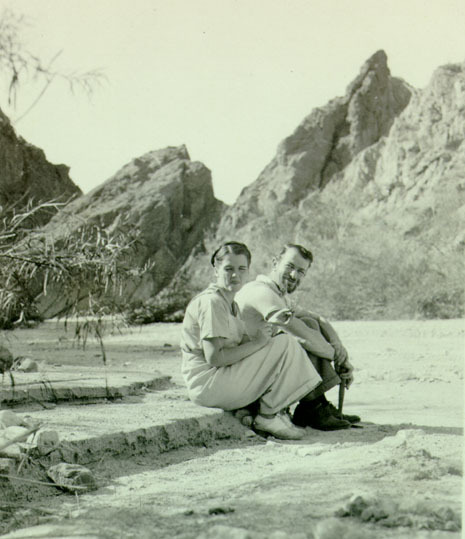 The expiration catalyzed a strong re-emergence of proponents for renewed nuclear bomb testing, and the force of the new movement compelled Pauling and his wife back into the nuclear test-ban arena. The Paulings attended several protests and in June Linus gave a speech to the Women’s International League for Peace and Freedom. Afterwards he was handed several fliers, newspaper clippings and an array of other papers which he stuffed into his pockets while answering questions. Back at his hotel room that night, he was sorting through everything when he noticed a subpoena that had been handed to him during the post-speech discourse. It stated that he was to appear before an executive session of the Senate Internal Security Subcommittee two days from then, on Monday, June 20. The circulation of petitions is an important part of our democratic process. If it is abolished or inhibited, it would be a step toward a police state. No matter what assurances the subcommittee might give me concerning the use of names, I am convinced the names would be used for reprisals against these enthusiastic, idealistic, high-minded workers for peace. The acting chairman, Senator Thomas Dodd, gave Pauling until August 9 to come up with a list of names. Wirin succeeded in getting the deadline postponed to October 11, and Linus and Ava Helen continued to travel and deliver speeches. 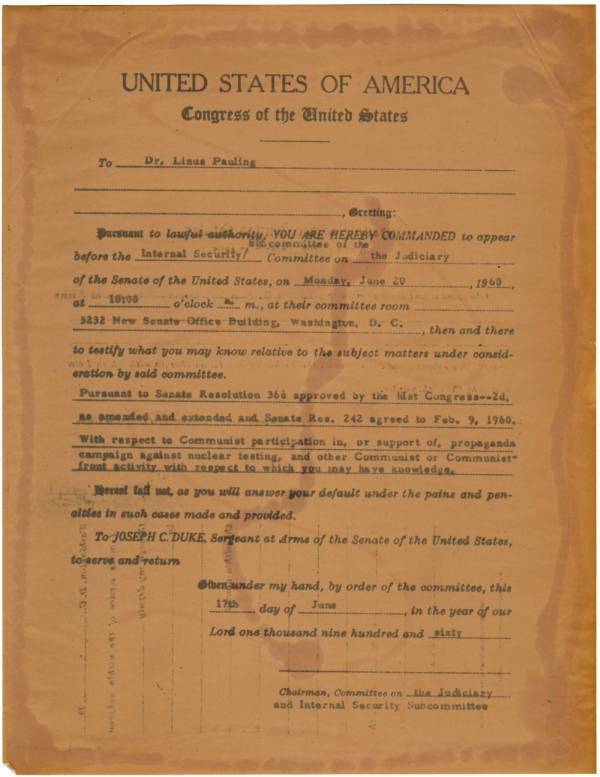 Pauling received a great deal of support from many academics, members of the press and fellow Nobel Prize winners as well as a great number of constituents who wrote letters of protest to Dodd and other senators. When asked to relinquish the requested names at the October hearing, Pauling refused. He was not given a contempt citation, as was somewhat expected, but instead subjected to a loyalty inquiry. After five hours of questioning related to his presumed affiliation with the Communist party and party members, Pauling was allowed to leave. As the Dodd confrontation was entering its final stages, Pauling remained on the offensive. Though it appeared to most that he had won, Pauling took the matter very personally. He continued to attack Dodd publicly and began campaigning for the abolition of investigatory committees, even mounting several libel suits against newspapers and organizations that had released material reflecting allegations and positions taken by the SISS. Pauling came into conflict with past associates and organizations, and became a more open critic of American society generally. He had resigned his chairmanship at Caltech several years before to focus more of his time on personal pursuits, and his political crusades grew more public after years of partial restraint. He was still supported by an array of old associates, though many became concerned with Pauling’s new disposition. 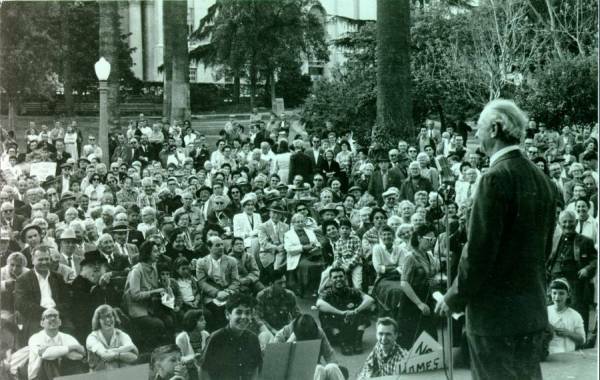 Linus Pauling speaking at a peace march in MacArthur Park, Los Angeles, California. 1960. Photo by Robert Carl Cohen. 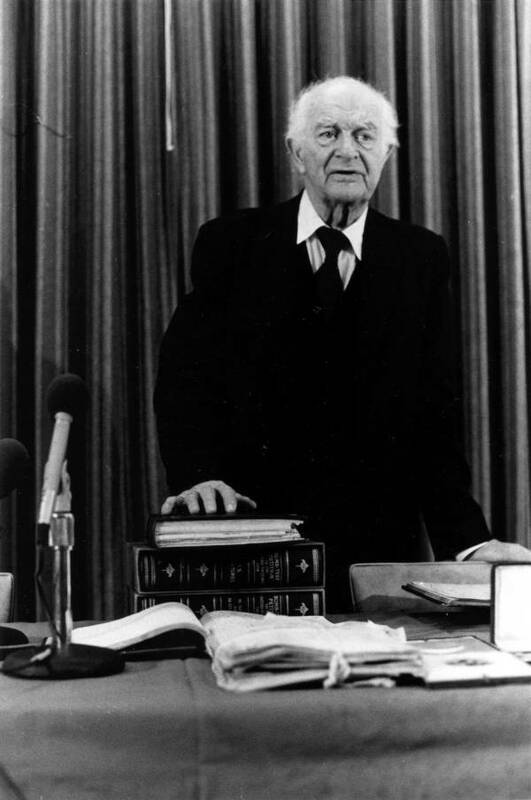 Linus Pauling’s rescue from a cliff and his confrontation with the Senate Internal Security Subcommittee – events which were both widely publicized and of enormous import to Pauling’s life – overshadowed most of his other activities in 1960. He made frequent appearances in all forms of media throughout the year, and gave a considerable number of speeches. He remained very active in the nuclear test ban arena, and even spoke to ambassadors from the U.S., Great Britain and the Soviet Union during a July visit to Geneva. Though he came out relatively unscathed from his activities, the SISS confrontation soured Pauling in a way, and further radicalized his positions. For the time being however, he remained popular within the establishment. The following year he was among the American scientists honored by Time magazine as “Men of the Year,” received the title of Humanist of the Year from the American Humanist Society, and would participate in a number of high-profile conferences and protests. But despite this series of mostly positive outcomes, 1960 was a difficult year that significantly influenced the direction of Pauling’s ever evolving demeanor. 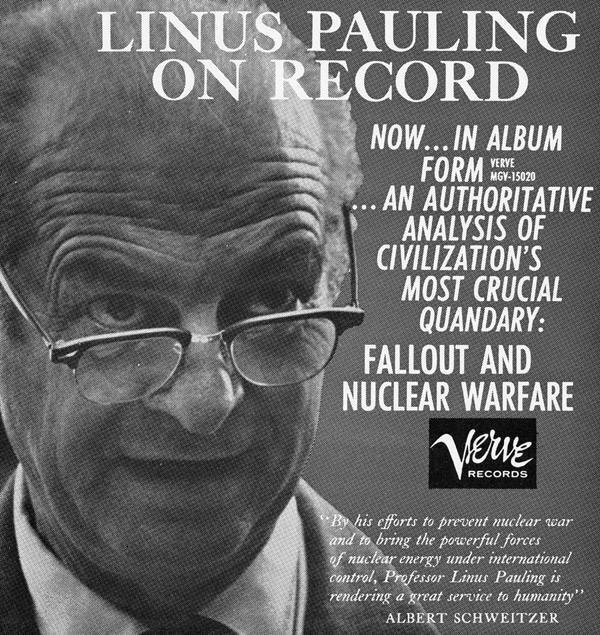 For more on Pauling’s peace work, see the website Linus Pauling and the International Peace Movement: A Documentary History. 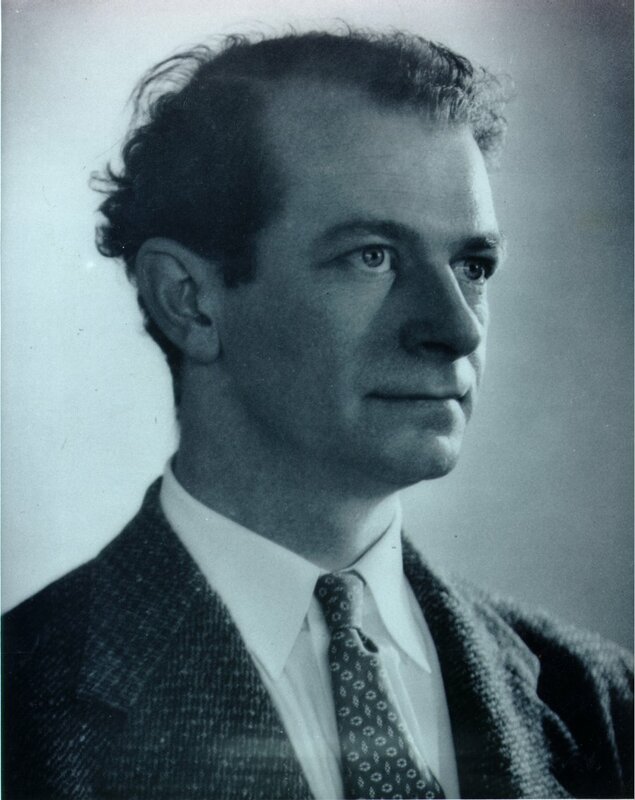 In 1935 Linus Pauling turned 34. He continued in his position as a full professor of Chemistry at the California Institute of Technology, and, per usual, stayed very busy for the duration of the year. Now recognized nationally and internationally for his work with structural chemistry, he showed no signs of slowing down his scholarly progress. Pauling was well aware of the benefits that his presence brought to Caltech, and he used this advantage as leverage to advance his evolving research agenda. As a result, friction began to develop between him and other members of the department. He was a brilliant scientist and theorist at the start of an impressive career, but still comparatively young and impatient. He was traveling, networking with scholars from other institutions, conducting innovative research and making plans for his future. As a result of so many contrasting variables, the year 1935 would prove to be both substantive and challenging for Pauling. The year also marked the conclusion of a time period renowned as Pauling’s great years of achievement in structural chemistry. During a trip to Berkeley in the spring, Pauling formulated a theory that explained the configurational entropy of ice in relation to hydrogen bonds. A paper using the theory was eventually published in the Journal of the American Chemical Society, but Pauling would also later use this theory to inform a wide range of other structural work. Though Pauling still published several crystal structure determinations during this time, his interest began shifting to the field of biology. He published an important paper dealing with the interaction between oxygen molecules and iron atoms in hemoglobin – work which proved, among other things, to be an important development in his budding relationship with the Rockefeller Foundation. With the help of a former student, E. Bright Wilson, Pauling also managed to publish a book, Introduction to Quantum Mechanics, with Applications to Chemistry. The book was a transformation of lecture notes developed for one of Pauling’s classes, a three-year endeavor in the making. 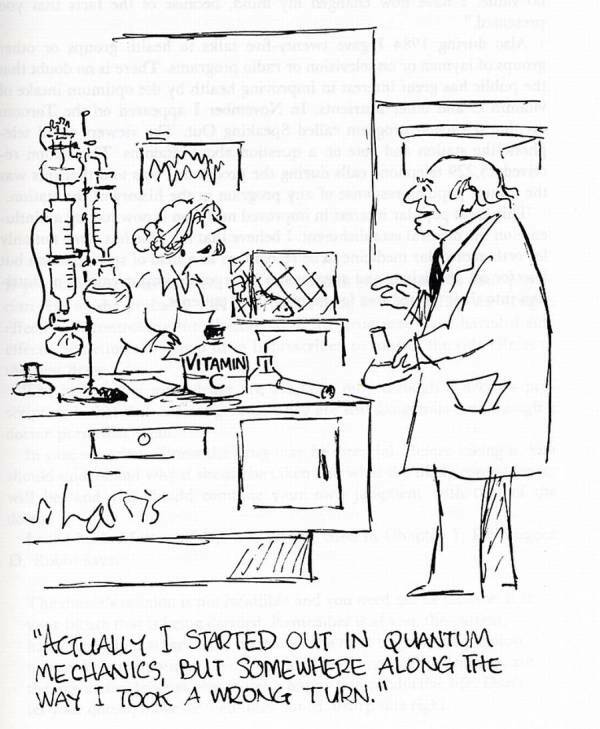 The book initially faced slow acceptance by fellow scholars, but remained in print for thirty years and proved to be a popular textbook for introducing chemists and physicists to the newborn field of quantum mechanics. 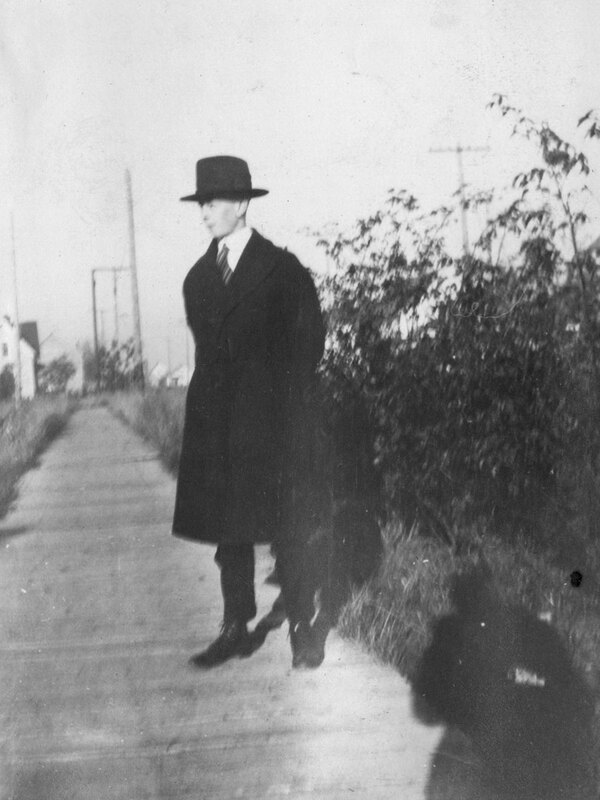 Pauling traveled for a little over one month straight during the spring of 1935. He traversed much of the country, making stops in Chicago, New York, Washington D. C. and Atlanta. He was sought after for a number of meetings and speaking engagements, many of which he had to turn down, most notably a September meeting of the British Association in Norwich, Norfolk UK. Around Christmas time of the same year, Ava Helen went for a trip to visit her mother who was ill. As usual, Linus wrote to her every day during the length of her absence. Ava Helen and Linus Pauling, Painted Canyon, California. 1935. As Pauling’s relationship with the Rockefeller Foundation intensified, he began pursuing research that was generally more in line with the goals of the foundation, and quickly formed a sort of strategic alliance with Warren Weaver, the man in charge of dispensing Rockefeller grants in the natural sciences. This relationship with Weaver would prove to be beneficial for Pauling not just in terms of finances, but later on as well when a dispute at Caltech required special resolution. Around this time Pauling also received the Simon Flexner Award from the Rockefeller Institute for his work in relation to the medical sciences. He met with Simon Flexner, the institute’s president, and arranged for a man named Alfred Mirsky to spend 15 months working with him at Caltech. Mirsky, a professor of cell biology, worked with Pauling on protein denaturation experiments, and the two spent part of their summer at Caltech’s marine laboratory in Corona del Mar. Mirsky began a number of experiments upon his arrival to Caltech, and Pauling let him handle most of the laboratory work involved. Once the laboratory data was gathered, Pauling translated the observations into chemical-bond terms, and the two spent a substantial amount of time collaborating and discussing the research. The two wrote a paper that was eventually published in July 1936 in the Proceedings of the National Academy of Sciences. The paper, “On the Structure of Native, Denatured, and Coagulated Proteins,” theorized the relationship between hydrogen bonds and protein structure, and proved to be an important advance in the field of protein analysis. Though everyday business was being adequately managed around this time, a great conflict was growing at the California Institute of Technology. It had been generally understood that Pauling was being groomed to replace A. A. Noyes as director of the Caltech Division of Chemistry and Chemical Engineering. However, as the years passed and Noyes’ health deteriorated, it became increasingly clear that Pauling would most likely not be assuming the position in its entirety. There were a number of reasons for this, but foremost among them was opposition from several key Caltech faculty members. As the ensuing dispute continued, Pauling began looking outside of the Institute for opportunity and leverage. He was presented with a very generous offer from Ohio State University, and it was made clear that there was a place for him at Harvard as well. Pauling was keenly aware of his value, and made it clear to all parties involved that his allegiance would come at a premium. This new strategy was a source of resentment at the Institute, and the resulting conflict would inflict Pauling with a heavy burden. Though Pauling continued much of his normal activity throughout the following months into 1936, he was largely preoccupied and affected by the unsteady turn of events. The conflict would eventually be resolved in a manner satisfactory to most participants, but Pauling paid a heavy political toll for advancement at this stage in his career. For more on Pauling achievements in chemistry and biology, check out the documentary history series of websites available at Linus Pauling Online.